Topical fungal infections are extremely widespread and contagious and include jock itch, athlete’s foot, ringworm, and yeast infections. While it is always necessary to see a doctor to get a proper treatment, sometimes essential oils may also be helpful in treatment of fungal infections. 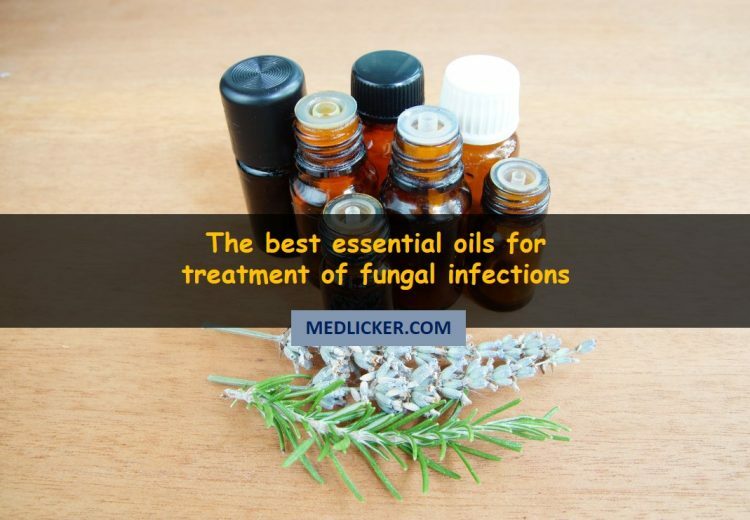 This article describes the best ways of essential oil use in dealing with various fungal infections. Athlete's foot, also known as tinea pedis, is a fungal infection that affects the foot. It causes redness, peeling of skin, burning, itching and sometimes blisters and sores. Athlete's foot is a very common fungal infection. The fungus thrives best in a moist, warm environment such as wet socks, shoes, swimming pools, locker rooms, and wet floors of showers. Its occurrence is most common in summer and in warm, humid climates. It is frequently reported in people who wear tight shoes such as sneakers and who use community showers and pools. Jock itch, also called tinea cruris, is a widespread skin infection that is caused by fungus known as tinea. This type of fungus grows in moist, warm areas of the body and as a result, infection often affects the genital organs, inner thighs, and buttocks. Infections occur usually in hot weather or in warm, wet climates. Jock itch appears in form of a red, itchy rash that is often circular or ring-shaped. Jock itch is a contagious infection. It spreads from one person to another through direct contact or indirectly from surfaces or objects carrying the fungus. Ringworm, also called tinea corporis, as might seem from the name is not a worm, but a fungal infection of the skin. It can affect any area of the body and its appearance is that of a circular, red, flat sore. Skin becomes scaly, flaky and peels off. The outer part of the sore is usually raised with elevated edges while the skin in the center appears normal. Ringworm can be unpleasant, but it is usually not a serious medical condition. Ringworm can spread by direct contact with infected patients or animals. It also may also be transmitted through infected clothing or furniture. Heat and humidity may help to trigger and speed up infection. Ringworm looks like a red, flat, circular sore that is sometimes accompanied by scaly skin. There can be more than one patch of ringworm on the skin, and red rings or patches of rashmay overlap one another. Yeast infections affecting skin are named as cutaneous candidiasis and are brought about by yeast-like fungi called candida. They are caused when yeast on skin grows and spreads more actively and a red, scaly, itchy rash appears on the skin. Yeast infections are not contagious. Yeast infections can affect any skin surface on the body, but most likely occur in wet, creased areas including the groin and armpits. Candida infection is particularly common among people who are overweight or who suffer from diabetes. People taking antibiotics are also prone to this fungal infection. This fungus can cause diaper rash in babies and infections of the nail. Oral thrush is a type of candida yeast infection that occurs in oral cavity. Candida also causes vaginal yeast infections. Anti-fungals are medications used to treat fungal infections. In humans, using antifungals consistently over months and months can treat persistent infections– but these often take a long period of time. In some cases, high potency prescription antifungals are necessary, and they usually work well, but they have been known to cause considerable toxicity and possible resistance over time. Antifungal medicines have their fair share of adverse effects and these will vary depending on the type of antifungal medicine patient is using. Stop using the medicine promptly if any of these side effects appear and become worse over time and see your doctor or pharmacist. These side effects are usually not serious but consult your doctor if they become severe over time. Severe skin reaction such as peeling or blistering skin. If you experience difficulty in breathing after using antifungal drugs, visit the accident and emergency (A&E) ward of the hospital nearest to your home or dial 911 for an ambulance. Amphotericin B is the most popular intravenous antifungal. It is usually given in hospital as an intravenous infusion (a constant drip of medicine into a vein in your arm). Amphotericin can also adversely affect your kidneys and lead to abnormally low levels of some minerals in your blood, such as magnesium or potassium. It can also cause cardiac irregularities such as an irregular heartbeat or abnormalities in blood pressure. It may affect the normal functioning of your liver, for example, by causing an accumulation of bilirubin in the blood; bilirubin is a yellow substance that is released when red blood cells are broken down. Amphotericin is usually given in hospital under supervision but sometimes patients also take it at home. When two or more drugs are taken concurrently, the therapeutic effects of one of the medicines can be changed by the other. This phenomenon is known as a drug interaction. Some antifungal drugs also interact with other medicines. Tell your doctor or pharmacist what other medications you are taking, including over-the-counter medicines, so that they can advise you whether an antifungal medicine is safe for you to take. Benzodiazepines – a group of drugs used to treat insomnia and reduce anxiety. Cimetidine – a medicine used to cure indigestion. Estrogens and progesterone – hormones found in some contraceptive pills. Phenytoin – a medicine used for treatment of epilepsy. Rifampicin – an antibiotic medicine used to cure bacterial infections, such as tuberculosis. Tacrolimus – medicine used to suppress the immune system. Theophylline – a medicine used for treatment of asthma. 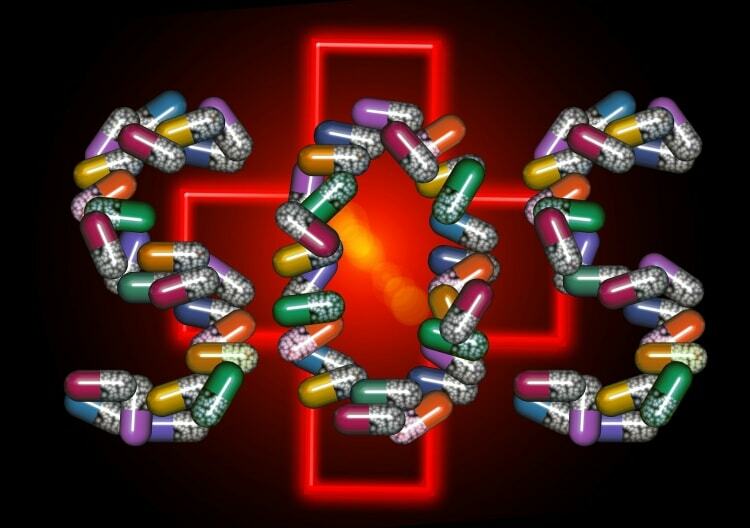 Tricyclic antidepressants – medicines used to cure depression. Zidovudine – a medicine used to treat AIDS. Keeping in mind these adverse reactions of anti fungal medicines, natural remedies are a safe choice to treat fungal infections. They have no undesirable side effects or nasty drug interactions. Essential oils are a natural remedy for getting rid of fungal infections. Many essential oils have the capability to combat fungal infection. These oils are made up of complex chemical constituents, and researchers have found that many essential oils have antifungal properties. If used properly, essential oils with antifungal traits are a natural way to cure fungal diseases such as thrush and athlete's foot. In their book "Aromatherapy for Health Professionals," Len Price and Shirley cite many scientific studies that have been conducted to show the antifungal prowess of essential oils. Studies include that of Schmidt (1936), who tested the antifungal abilities of thyme, fennel, clove and cinnamon, and Janssen (1984), one of several researchers who studied the usefulness of German chamomile against many fungal diseases such as Trichophyton rubrum. Other scientific studies show that essential oils having aldehydes and esters as chemical components are more effective against fungal infections. It has been said in the research paper "Antibacterial and Antifungal Properties of Essential Oils" , published on the website PubMed.gov, that essential oils derived from spices and herbs have some of the strongest antifungal properties. These essential oils include cinnamon, mint, thyme, salvia, clove and origanum. Furthermore, Len and Shirley Price list pine, tea tree, peppermint, basil and rosemary essential oils as having antifungal properties. Tea tree oil, especially, is proven to be effective against candida. This fact has been established in several studies, such as Shemesh and Mayo (1991) and Pena (1962). Research has shown that clove can suppress Candida both in oral cavity and intestinal tract (6, 7). As is the case with many other spices, clove has been used to treat a wide range of ailments since ancient times, including diarrhea, indigestion, hernia, and ringworm. Cloves grow on the evergreen clove tree, native to Indonesia but now found around the world. The first use of cloves was by courtiers and subjects of the Chinese empire in 300 BC, requested to chew on cloves to refresh their breath before addressing their king. Along with many other wonderful medical benefits, clove is also a potent anti-fungal agent frequently used to treat athlete’s foot. Use of clove oil as an antifungal agent is well documented by research. A 2001 research found that clove oil “had a rapid eliminating effect on yeast cells”. A 2008 study stated that “clove oil and eugenol have significant antifungal activity against medically relevant fungi”. Clove extract is most useful in the form of oil. Add 10 to 15 drops in warm water and take this tea every day. Make sure that it is in diluted form – clove extract is quite powerful stuff. The components of clove oil are eugenol, eugenyl acetate, caryophyllene and iocaryophyllene, among which eugenol is the active constituent. Its antiseptic properties equip it to kill Candida yeast, while it also improves your immune system. Clove oil also works quite well in combination with other essential oils, such as rosemary essential oil, basil essential oil, cinnamon essential oil, rosewood oil and grapefruit essential oil. Feel free to blend it up a bit to make your tea easier to drink! Recommend your doctor regarding the use of clove oil during pregnancy or breastfeeding. Also take medical advice if you are suffering from any other disease, especially a gastrointestinal condition. Some patients may have an allergic reaction to cloves so begin with a small dose. Those who have an allergy to Balsam of Peru may also have a clove allergy. If you are cautious with your dosage and start small, you will have no issues with cloves or clove oil. In Brazilian traditional medicine, lemongrass has an anticonvulsant and hypnotic effect. Besides helping in breaking up Candida biofilm, research also shows that lemongrass oil can lower blood pressure. This has to do with the fact that lemongrass is a potent antioxidant and helps to reduce inflammation (8, 9, 10). The Journal of Advanced Pharmaceutical Technology & Research asserts the antioxidant, antifungal, and antibacterial properties of lemongrass, along with its benefits in folk medicine as a hypotensive, antispasmodic, analgesic, anticonvulsant, antiemetic antiseptic agent and its uses in treatment of various nervous and gastrointestinal disorders and fevers. When the essential oil is vaporized, it is even more active in altering the cellular structures and surfaces of fungus such as Candida. Lemongrass oil has direct aromatic uses for Candida and thrush to boost digestive health. According to a new study, lavender oil could be used to counter the increasing occurrence of antifungal-resistant infections. This essential oil shows a powerful antifungal effect against persistent strains of fungi responsible for common nail and skin infections (12, 13, 14). Researchers from the University of Coimbra in Portugal extracted lavender oil from the Lavandula viridis L'Hér palnt that grows in southern Portugal. The oil was experimented against an array of pathogenic fungi and was found to be effective against a wide range of skin-pathogenic strains, known as dermatophytes, as well as several species of Candida. Right now, there are rather few types of antifungal medications to treat fungal infections and those that are available often have adverse side effects. Professor Salgueiro and Professor Eugénia Pinto from Portugal who led this research explained why new fungicides are urgently needed. "In the past few years there has been a rise in the incidence of fungal diseases, particularly among patients with malfunctioning immune system," they said. "Unfortunately, there is also a rise in resistance to antifungal drugs. 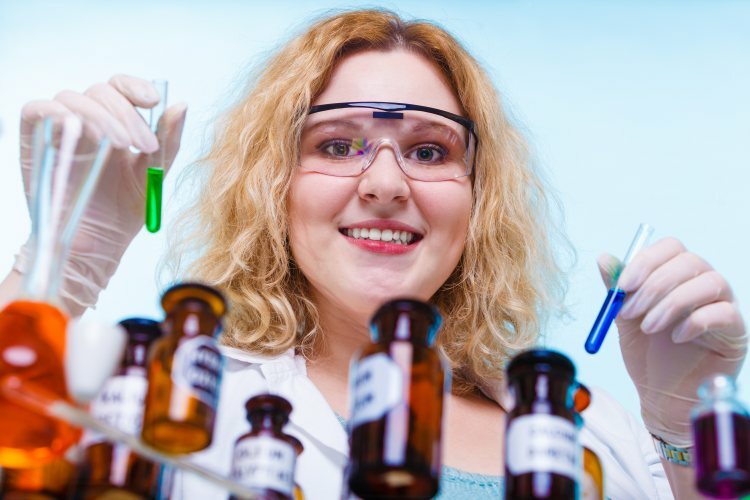 Experimentation and research by our group and others has proven that essential oils may be cost effective, competent alternatives that have negligible side effects." Essential oils derived from the Lavandula genus of lavender shrubs are already in popular demand, particularly in the perfume, food and cosmetic industries. Research on the biological activities of these oils shows that Lavandula oils have antispasmodic as well as antifungal properties. Also they have potent antimicrobial and antioxidant substances. This research group demonstrated that these oils function by abolishing fungal cells by disintegrating the cell membrane. They believe that deeper research into the mechanism by which these essential oils work could have significant medical benefits. "Lavandula oil shows large-spectrum antifungal activity and is highly effective. This is a good initiating point for developing lavender oil for clinical use to treat fungal infections. All that is now required are clinical trials to determine how our in vitro work translates in vivo," stated Professor Salgueiro. Tea tree oil is extracted from a plant indigenous to Australia. Tea tree oil was used as a skin treatment agent by the Aboriginal people for many centuries. According to research published in 2009, tea tree essential oil has ability to treat candida infections such as vaginal candidiasis by blocking the further multiplication of candida cells (15, 16). Topical tea tree oil has been known to trigger allergic reactions that can be life threatening. Tea tree oil may also cause itching, redness, and blistering. It may exacerbate burns and skin diseases like eczema. Applying large quantities of tea tree oil on the skin could lead to severe side effects. Tea tree oil must never be allowed to enter the eyes or ingested. Even in minute amounts, swallowing tea tree oil could possibly cause severe reactions, including nausea, severe rash, confusion, and coma. Given the lack of evidence regarding its safe use, tea tree oil is not deemed suitable for use by children or for women who are pregnant or breastfeeding. Cassia Essential Oil is derived from Cinnamomum cassia, also known as Chinese Cassia and Chinese Cinnamon as it is native to Southern China (17, 18, 19). At present, it is grown all over southern and eastern Asia. This essential oil is a natural immunity enhancer, which is also an anti-viral and anti-fungal agent. Due to these properties it has was used by ancient Egyptians. Before applying to skin, cassia essential oil should be diluted in at least three drops of carrier oil for each drop of cassia oil. A Chinese research in 2012 worked on the effect of cinnamon oil on Candida Albicans both in the laboratory and in patients going through candida infection. The results were significant. When the scientists examined the Candida cells after they were introduced to cinnamon oil, they observed that “Abnormal hollows erupted on the surfaces, inside organelles were killed and the cells burst after application of the oil” (19). Another research in 2011 studied the use of cinnamon oil in hospitals. Candida infection can be exceedingly dangerous in those with severely compromised immune systems, and it is becoming more and more common in hospitals (20, 21). This study looked at the efficiency of sixteen different essential oils in treating another type of Candida yeast infection, and found that “The most effective essential oil was cinnamon oil, which displayed anti-candidal activity”. Extensive research needs to be done, but all the studies so far suggest that cinnamon is a useful antifungal agent. According to a research conducted in 2012, thyme essential oil can be used to successfully disinfect moldy surfaces and walls. Thyme essential oil has also been found to be a powerful anti fungal agent (22, 23). In spite of its many advantages, thyme essential oil is a strong substance and caution should be taken when using it. Thyme oil positively needs to be diluted with carrier oil prior to being applied on skin. Even in diluted form, this oil might still initiate an allergic reaction so it is vital to do a spot check on a small portion of the skin before taking up its regular use. The pleasantly aromatic geranium essential oil is frequently used in aromatherapy and is cherished for its antibacterial, antioxidant and antifungal traits. Scientific studies have shown that geranium essential oil is one of the most valuable oils in treating a wide range of fungal infections and it is known to restrain several fungal species (24, 25). It can be used to cure athlete’s foot by adding five or six drops to a foot bath or it can be rubbed and massaged into your feet twice everyday but dilute it first with a carrier oil. Geranium essential oil is a valuable addition to your anti fungal arsenal as it is also known to eliminate a variety of bacterial strains. Like thyme, oregano is generally best known for its use as a popular kitchen ingredient, but similar to thyme, it has so many more uses than a simple herb or a pizza topping. Besides its many other clinical applications, oregano essential oil has potent antifungal properties which are a herald of death for many fungal infections (26, 27). Research conducted by scientists in 2008 found that oregano essential oil was effective in destroying certain strains of candida. As well as its capability to eliminate yeast infections like candida, oregano essential oil can be used to cure skin infections like athlete’s foot and fungal nail infections. In order to treat athlete’s foot, prepare a foot bath with five drops of oregano essential oil. Oregano essential oil can also be rubbed or massaged into the afflicted area after diluting with carrier oil. Although it is a fairly new addition to the list of essential oils, manuka essential oil is undoubtedly among the most powerful natural antimicrobial essential oils. Manuka oil also called by its scientific name leptospermum scoparium is extracted from the manuka tree native to the East Cape of New Zealand (28, 29). Studies have shown that manuka essential oil has impressive antibacterial and antifungal characteristics that give it so many clinical benefits. A study conducted in Britain and published in the year 2000 compared the antimicrobial properties of manuka, kanuka and tea tree essential oils and concluded that manuka had exceptional antifungal effect though not quite as strong as tea tree oil. How to use essential oils for treatment of fungal infections? Fungal infections are painful, depressing and can also be embarrassing. Luckily, treatment with any one of the above oils can rapidly cure the problem without worrying about the adverse effects of many medicinal treatments. Dilute essential oils in a carrier oil such as olive, sunflower of jojoba oil or in a lotion prior to application on the skin. Be careful not to use essential oils directly on the skin. Take advice from a qualified and experienced doctor or aroma therapist if you are not familiar with the use of essential oils or have special concerns about particular situation. Use advised amount of essential oils and carrier oil as directed. Essential oils are not suitable for internal use. Some essential oils have more toxic properties than others. Do not use particular essential oils during pregnancy, if you are a patient of hypertension, in epilepsy or in sunlight. Some essential oils might lead to skin irritation. Check the precautions for very essential oil in a reference guide such as "The Illustrated Encyclopedia of Essential Oils" by Julia Lawless. If used correctly, some essential oils can be effective as antibiotics in curing fungal infections. It is crucial to consult your doctor or dermatologist before starting use of any of these essential oils, particularly if you are already receiving treatment for some other clinical condition. 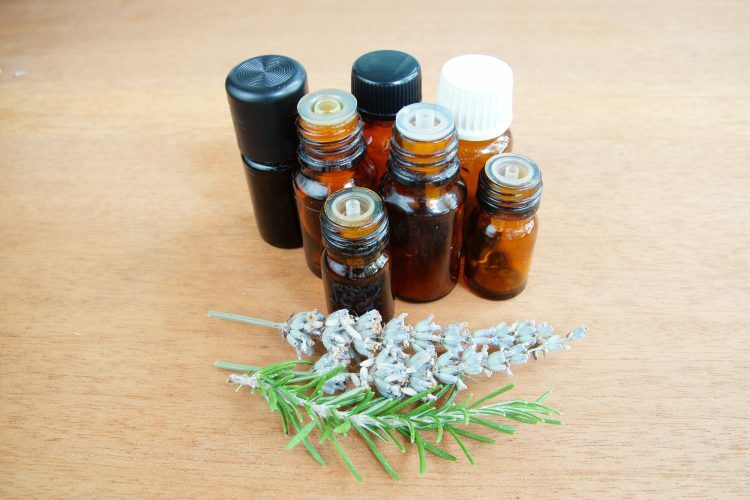 These essential oils can interact with drugs leading to serious consequences. If your problem persists and the essential oil is not proving to be useful, stop its use and take the path of anti fungal medication.